We're in Little Rock for a few days visiting my family (yes, they moved to Little Rock) before we head off to what promises to be a very exciting wedding in Wichita. 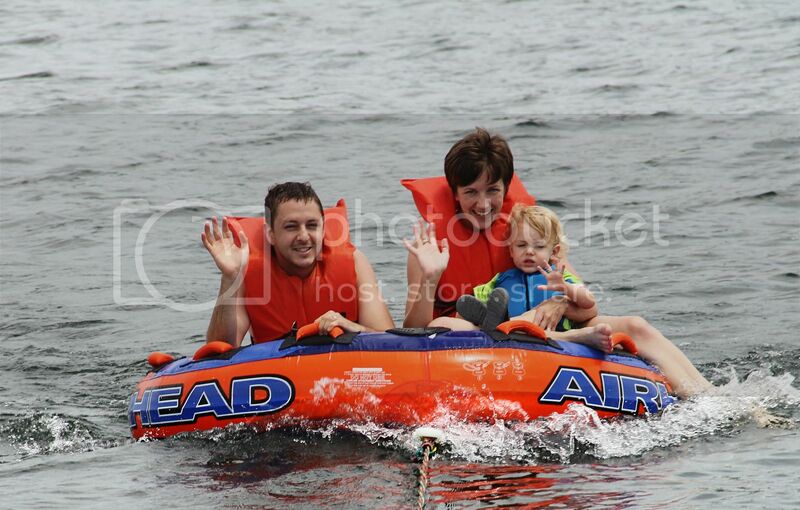 Today we went to a lovely lake and tubed. 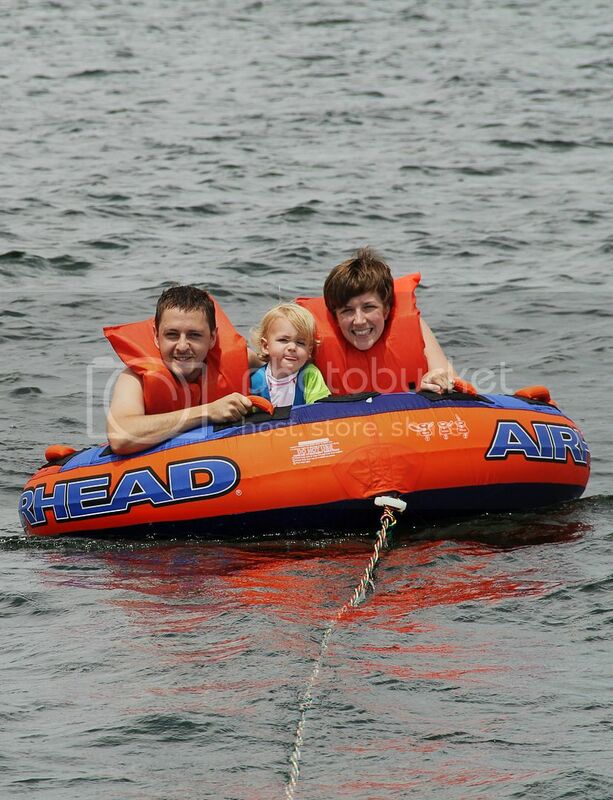 Finley whimpered and whined the first time he saw someone tube--he was nervous about what was going on. Eventually he warmed up to it and was willing to ride on the tube very slowly with us. 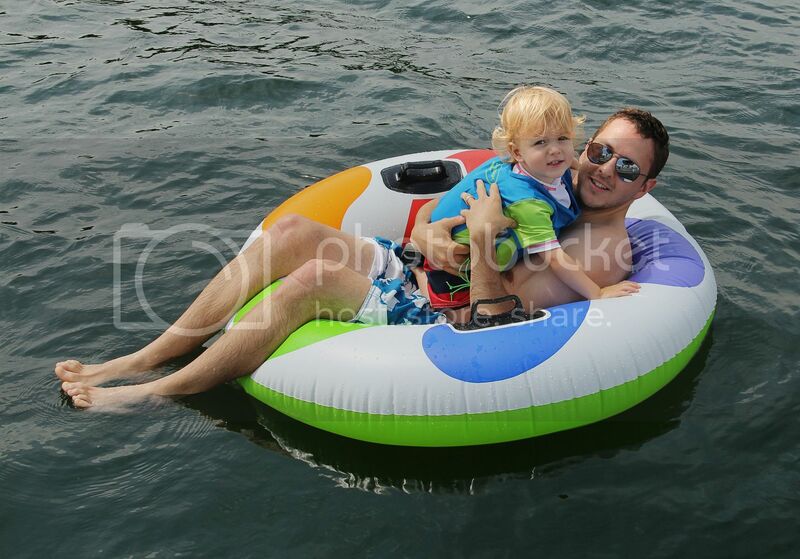 He thought it was very fun--both to sit in the tube with dad and to ride behind the boat. 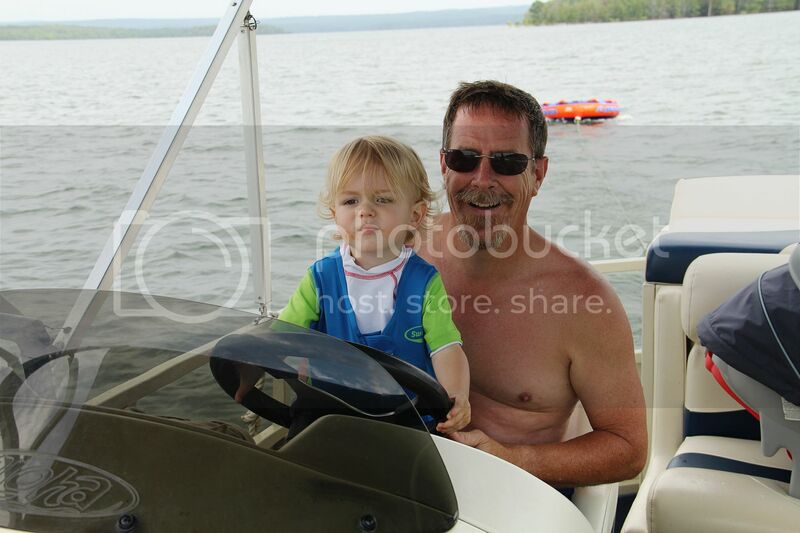 And he took his job as boat captain very seriously. I could barely get him to look up at me! 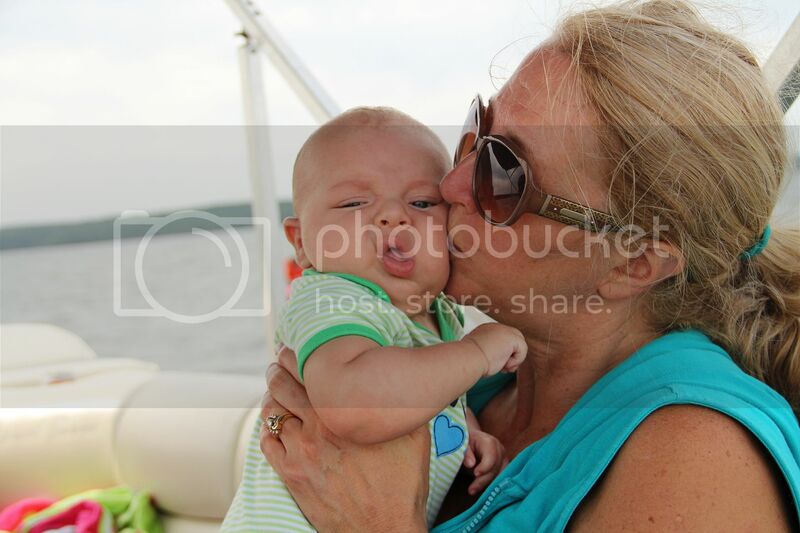 Also Braden was there and he liked getting kisses from grandma more than this picture shows. He really was good on the boat. 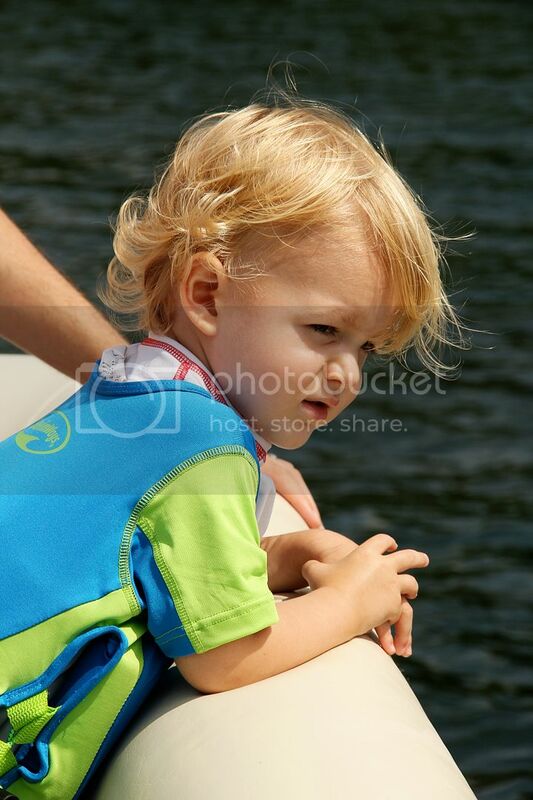 He sat in his seat most of the time and enjoyed the rocking of the boat and the breeze. And this--THIS is what makes me nervous about having two boys. 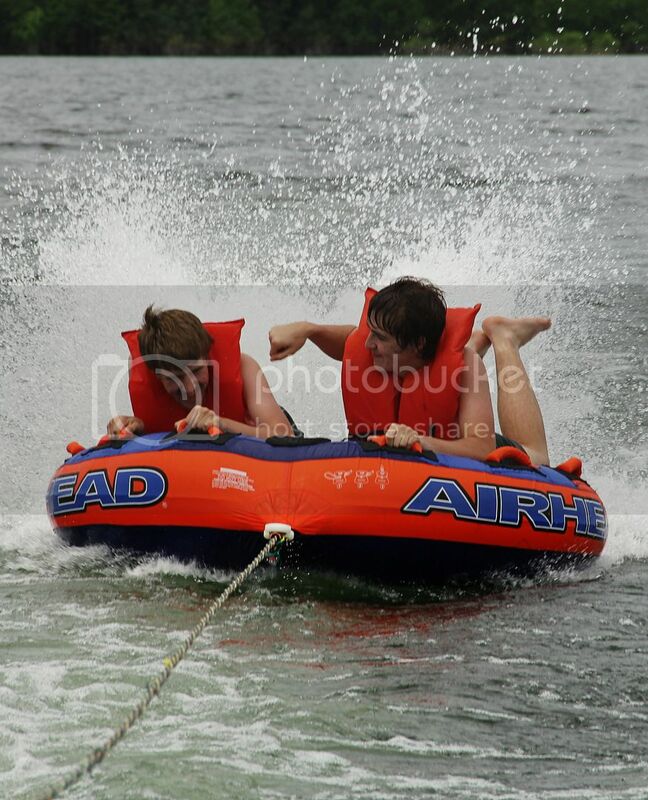 My two silly brothers fighting on the tube together and trying to knock each other off. Oh dear. What have I done to myself? Good thing they have their good looks to get them by. By the way, I miss the Mondays with Mom posts. What happened to them?? Very good question. I will ask my mom now. She says she got busy and she didn't think anyone cared. :) Now she is excited to write something! It was such a fun day! Jenae - I am flattered that you liked the Mon with Mom posts. Another one headed into the blogosphere soon! I also liked Monday with Mom! And I miss Finn. Braden looks smooshy. Brave boy, Finley! Looks like a good start to the vacation. Ha! These are great pictures!